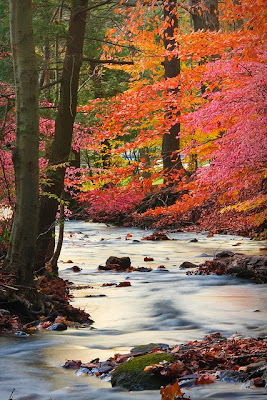 The cooler weather has officially hit in Indiana and Oregon. Portland is actually getting rain for what's been a very long time. So we all spent the week enjoying the nice cool weather while it lasts! Edna ran the Portland Half Marathon last weekend (recap coming next week) and Annie will be introuducing one of her friends to Hocus Pocus this weekend! Here are some things we loved this week! Fall leaves in Connecticut. GORGEOUS! 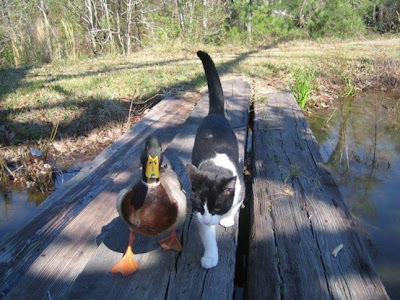 This duck and cat are best buds! Cutest thing ever! 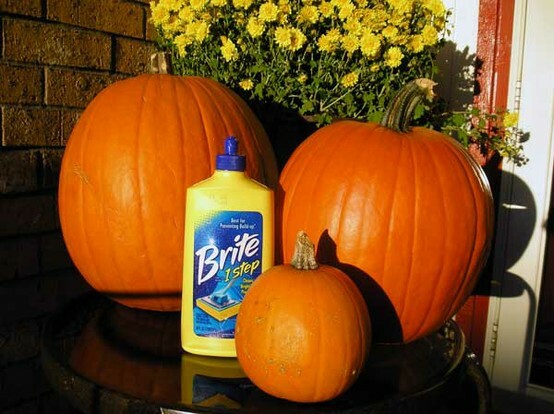 Coat your pumpkin with liquid floor cleaner and it preserves them for the whole season. Genius! 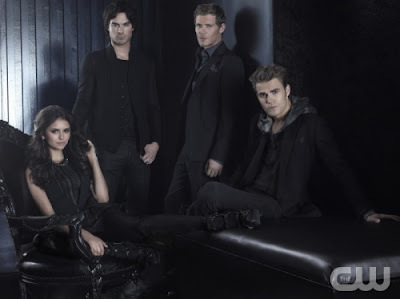 Our favorite show, The Vampire Diaries, finally returned last night and it did not disappoint! 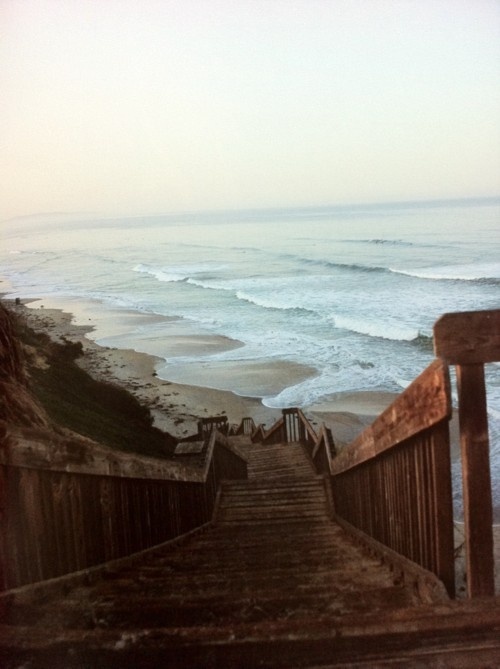 Oh the lovely beach, the ocean...the salty air. Annie misses the ocean and fresh seafood! 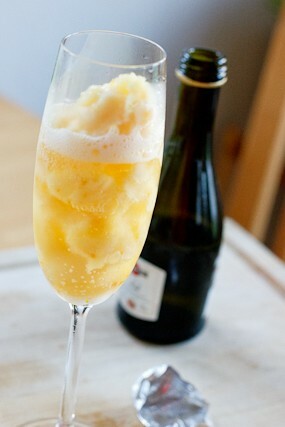 A frozen orange champage drink? Yum! 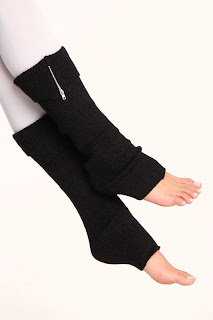 These will be necessary this winter! Plus they're cute! MICHAEL by Michael Kors aqua tote! What a fun accent color. 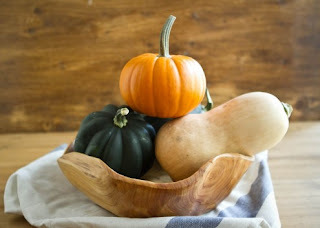 Are you a fall squash lover? I definitely did not use to be. Within the last two years I have started to eat acorn squash and butternut squash on the regular. I think my mother's eyes popped out of her head when I told her about the great recipe I found for roasting butternut squash. It's never too late to add these super foods to your menu. Trust me, it's worth it and they are incredibly good for you. Fall squash! I found this picture at Naturally Ella. My only hurdle to leap over was convincing B to also take part in my healthy eating scheme of fall squash. He told me he had never had squash, nor sweet potatoes, garnet potatoes etc. I figured it was the perfect opportunity for both of us to add it to our regular menu. I knew my recipes had to be extra tasty for it be accepted. This girl came through with a win! He now not only eats the squash and sweet potatoes gladly, he requests it. Ready for the recipe? The best part about preparing squash is once the labor of cutting, and sometimes peeling is done all you have left to do is pop it in the oven. 1. Pre-heat over to 400 degrees F.
3. Cut the butternut squash in half long ways, then scoop out the seeds. 4. Peel the squash. This can get tricky, I used a carrot peeler and it worked great. 5. Chop up the squash into 1/4 inch cubes and arrange on the baking pan. 6. Sprinkle with salt & pepper. Then add the brown sugar. I made sure each cube got a little bit of brown sugar on it. 7. If you use butter, melt 4-5 tablespoons, let is cool, and then drizzle over the cubes. If you use evoo lightly drizzle over the squash. The helps the squash to caramelize and adds great flavor. 8. Bake for 40-50 minutes and be sure to flip the cubes half way through for even roasting. Annie & Edna love to share their work outs, recipes and nutrition tips with you but this by no means makes us doctors or experts. We do what works for us and want to share it with you guys. So remember, always check with a doctor before making any fitness or nutrition changes. All content is copyright 2012 Annie & Edna unless otherwise stated. All rights reserved. Please do not take images or content from this site without written permission.